​​Fill out an application right here on our website! ​Can I come visit your dogs? Do you have a shelter? We do not have a facility; we are completely foster-home based. Once you have been approved to adopt and we have matched you with a dog we feel is right for you family, we will set up a Meet & Greet. We also have local events where you can come meet our availabull dogs. Check our Facebook page for upcoming events. I'm interested in fostering, what does that entail? Our fosters are required to provide a loving home and good quality food. Our fosters also agree to provide transportation for dogs to and from veterinary appointments, as well as attend events to get the dogs exposure (we understand that sometimes a foster may be unavailable to transport a dog and we can try to accommodate those occasions). 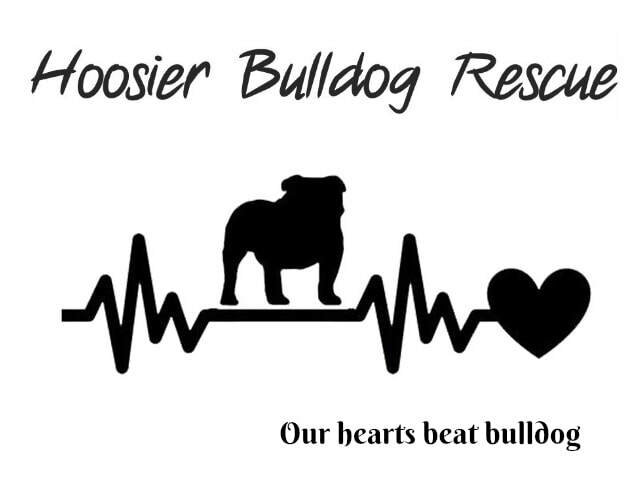 We do expect our fosters to be in close communication with us regarding the dog's well being and progress- providing updates and pictures for us to share on our website and on Facebook. Fosters are eligible to adopt; however you must go through an approval process and pay an adoption fee just as any other adopter. All dogs are seen by a veterinarian and any necessary medical treatments are completed, including regular vaccinations, deworming, spay/neuter surgery, and flea/tick/heartworm preventatives. Many dogs who enter rescue require further medical care, including treatment for skin infections, ear/tail pocket infections, cherry eye/entropion surgery, heartworm treatment, and much more. Once we accept a dog into our rescue, we dedicate ourselves to giving them comprehensive care. Often times this care far extends what we ask as an adoption donation. English/French bulldogs are frankly a very expensive breed to own. Many people look to rescue for a "cheaper bulldog." However, it's important to remember that the price of a bulldog extends far beyond the "price tag." Bulldog owners need to be prepared to spend $500-1,000+ a year on bulldog care. Feeding a high quality, grain free diet reduces the number of vet visits for skin/ear/tail infections.